Arsene Wenger expects Alexis Sanchez's future to be resolved within the next 48 hours. The Chile international is wanted by both Manchester City and Manchester United, but a bid has yet to be officially accepted by the Gunners. Speaking after Arsenal lost 2-1 at Bournemouth on Sunday, Wenger said: "It will be decided in the next 48 hours. It was difficult for him because he was on standby a little bit." 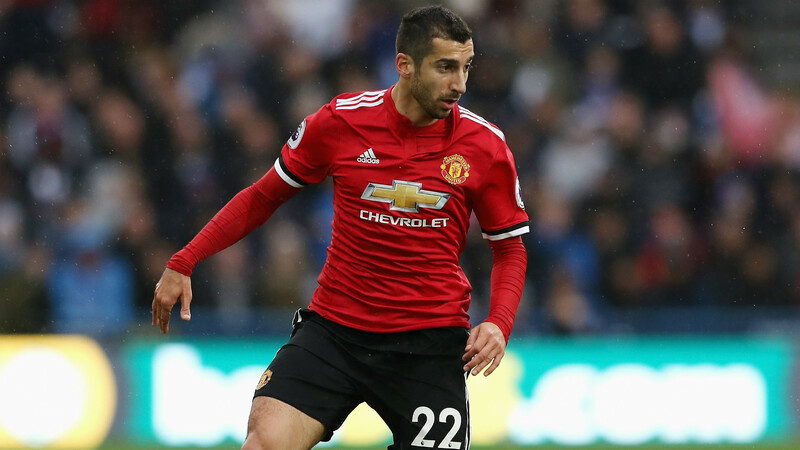 Manchester United manager Jose Mourinho has hinted that Henrikh Mkhitaryan could be sold as doubts remain over the out-of-favour playmaker. The Armenia star, who was one of Mourinho's first signings from Borussia Dortmund in 2016, could return to Signal Iduna Park, while reports have claimed the 28-year-old might be used in a swap deal for Arsenal forward Alexis Sanchez. Manchester United, Liverpool, Inter and Juventus have been warned by Lazio that they face frustration in the ongoing pursuit of Stefan de Vrij. The Dutch defender is out of contract at the end of the season, but Lazio director of sport Igli Tare remains confident that De Vrij will ultimately commit his future to his current club. Tottenham are leading the chase to sign highly-rated Hoffenheim playmaker Nadiem Amiri, reports Sport Bild . The 21-year-old is under contract at Hoffenheim until 2020, but has a €17 million release clause and is wanted in the Premier League following an impressive first half of the season. Arsenal and Manchester United are also interested in Amiri amid suggestions he will leave Hoffenheim in the summer at the latest. Aston Villa are waiting for Manchester United to respond to their offer to sign Axel Tuanzebe on loan, reports the Mirror . United boss Jose Mourinho is considering letting Tuanzebe go out on loan for the second half of the season, but is concerned about having sufficient cover in his squad. That has led to worries at Villa that the Championship club will miss out on a deal for the versatile defender before the January transfer window closes. Alexis Sanchez didn’t travel with the Arsenal squad to Bournemouth and won’t feature in Sunday’s Premier League match, Goal has learned. The 29-year-old is subject of a transfer tussle between Manchester United and Manchester City this month, with Pep Guardiola’s side refusing to budge on their £25 million offer for the Chilean. Liverpool had also been linked with an interest . West Ham are weighing up a move for Manchester United midfielder Marouane Fellaini as his contract runs down, claims the Daily Star . Hammers boss David Moyes has previously worked with the Belgian at Everton and Old Trafford and is eager on another reunion. Alexis Sanchez should snub interest from Manchester United and link up with City instead, says former Old Trafford favourite Rio Ferdinand. The Arsenal forward finds himself at a transfer tug-of-war between two fierce rivals, with a shock scramble for his signature having been sparked. Ferdinand has told BT Sport on the saga: "If he has an option now to go from Arsenal to Manchester City or Manchester United, as a footballer who wanted to win trophies and be judged on trophies, Manchester City looks like the place to go." Liverpool are ready to battle Manchester United and City for the signature of Alexis Sanchez, reports the Mirror . The Chilean's future has become increasingly unclear in January, with United muscling in on a player who seemed destined for the Etihad Stadium. And now the Reds are prepared to spend a portion of the massive fee earned on Philippe Coutinho's sale to clinch the Arsenal forward. Manchester United plan to battle Chelsea for Juventus full-back Alex Sandro, according to the Mirror . Jose Mourinho believes Juve's £53 million-rated star is the right man to shore up his defence, although United are unlikely to firm up their interest until the summer. Alexis Sanchez will earn up to £60,000-a-week more if he opts for Manchester United over rivals City, claims the Sun . Pep Guardiola is a big admirer of his former Barcelona charge, but is willing to go as high as a £20 million fee and £290,000-a-week for his services. Not only will United gazump their neighbours by some £10m, but they are also prepared to offer as much as £350,000-a-week to land the Arsenal star in January. Jose Mourinho has hinted at a possible swoop for Alexis Sanchez, saying that Manchester United had no plans on signing players this winter but that sometimes chances pop up that can't be ignored. "If there is a fantastic opportunity on the table, you fight for that fantastic opportunity. If it happens, it happens."